This is an oval Gloco Super Ethyl porcelain sign. 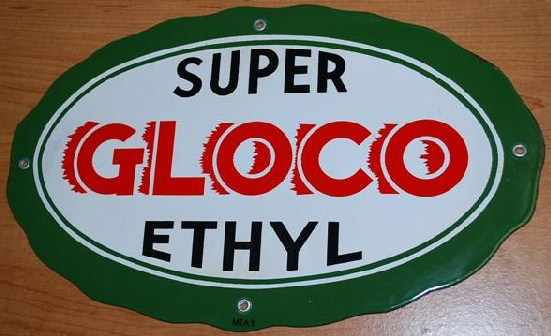 This particular Gloco Super Ethyl sign is green and white with red and black text. It reads, “Super Gloco Ethyl” and has a green border.